Samford University journalism professor Julie Hedgepeth Williams’ latest book, A Rare Titanic Family, received the 2014 Ella Dickey Literacy Award at the Marshfield, Mo., Cherry Blossom Festival in April. The award recognizes authors whose work has helped preserve history. 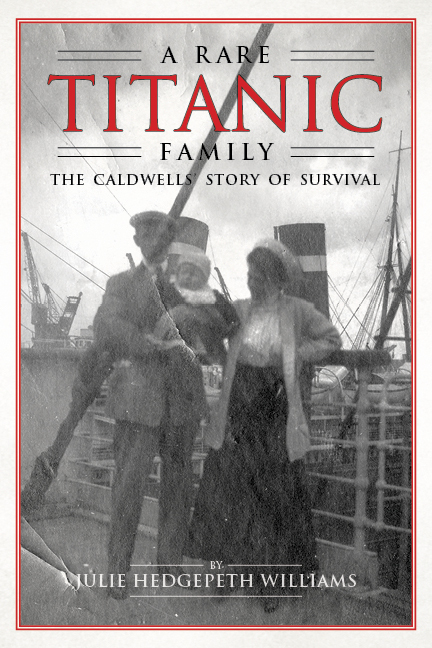 A Rare Titanic Family presents the true story of the professor’s great uncle and aunt—Albert and Sylvia Caldwell–and their 10 month-old baby Alden as they returned from a Presbyterian mission in Thailand. Williams speaks often about the book costumed as Sylvia Caldwell, as she did for Samford’s 2013 “Live at the Library” event. At that event, Williams said that although it is not clear exactly why the Caldwells left Bangkok only two years into their seven-year commitment, Sylvia appears to have been so ill that she could not hold her baby. Seasick for a month on the small-ish ship that carried the family to Italy, she might not have been eager to immediately board the ship of the same size that was ready to depart for the U.S. from Naples.